Rabbits make up a considerable and growing proportion of the caseload in small animal practice, and both interest and knowledge in rabbit medicine and surgery has grown rapidly. In recognition of this, the BSAVA Manual of Rabbit Medicine and Surgery has been superseded by two separate volumes - the BSAVA Manual of Rabbit Surgery, Dentistry and Imaging and the BSAVA Manual of Rabbit Medicine. There is an increased understanding of the pathology of common diseases and greater awareness both of new conditions affecting this species and of their response to both disease and treatment regimes. This new BSAVA Manual of Rabbit Medicine features new chapters such as The rabbit-friendly practice, Neoplasia, and Endocrine disease. Other chapters have been updated and expanded, and the introduction of new authors has brought fresh insights and opinions to several topics. 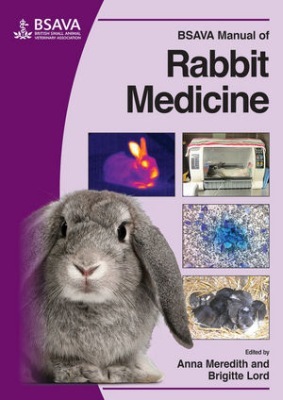 The authors provide a greater depth and breadth of coverage for practitioners seeking definitive and authoritative information to improve and refine the quality of veterinary care that they can provide for rabbits. These two manuals now provide the most comprehensive and up-to-date coverage of all aspects of rabbit veterinary care currently available, in an easy-to-use, well illustrated format following the tried and tested BSAVA Manual template.